FFA - U.S. District Judge Beth Bloom gives maximum sentences to Muslim Qazi brothers for planning terrorist attacks at New York landmarks. Click here to send your email to thank Judge Bloom for giving maximum sentences to the Qazi brothers. 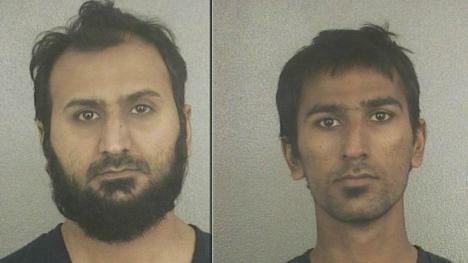 The Sun Sentinel reports: South Florida brothers get 35 and 20 years in prison for terrorism plot in New York City – Sun Sentinel. Two Broward County brothers were sentenced to the maximum punishment Thursday after admitting they planned a terrorist attack on New York City landmarks and later assaulted two deputy U.S. marshals in custody. Raees Alam Qazi, 22, who played the lead role in the conspiracy and cycled around Manhattan looking for bomb targets was sentenced to 35 years in federal prison. That is three years more than he expected under the terms of his plea agreement with the U.S. Attorney’s Office. His brother, Sheheryar Alam Qazi, 32, who provided support, was sentenced to a 20-year prison term, also three years more than expected. U.S. District Judge Beth Bloom told the Pakistani-born men they had taken advantage of the benefits of U.S. citizenship to plot violence and hatred against their fellow-Americans. “You are a terrorist, evil in nature and evil in your deeds,” Bloom told Raees Qazi in court. Florida Family Association plans to also report the sentence which U.S. District Court Judge Gregory A. Presnell is expected to issue on June 22, 2015 regarding Imam Abu Taubah of Central Florida who is accused in jihad plot. Florida Family Association has prepared an email for you to send to thank Judge Bloom for giving the maximum sentences to the Qazi brothers. Click here to send your email to thank Judge Bloom for giving the maximum sentences to the Qazi brothers.